Are Chatbots the Best Way to Service Your Clients Online? We often encounter chatbots—the catchall name for digital messaging software that interprets natural language (how we talk in real life) and responds with helpful information—as little boxes that pop up on our computer screens when we’ve dawdled too long on a sweater online. 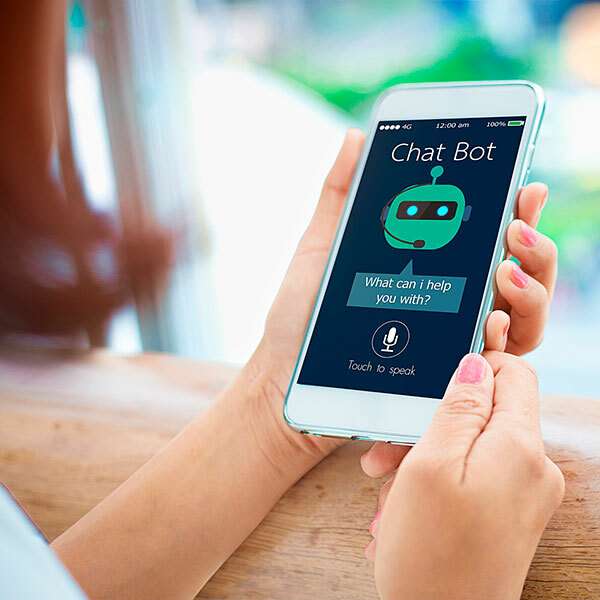 Usually chatbots present themselves as a know-it-all avatar, be it a bespectacled owl or a sanguine-looking sloth, and include a text box in which shoppers can type and receive messages. Their primary function is to answer run-of-the-mill questions and provide basic information for a website’s users. Last December, a study by Facebook revealed that some 2 billion messages are sent between people and businesses monthly. And a growing number of those messages include tête-à-têtes with chatbots. The ubiquity of chatbots has a lot to do with the accessibility of the software. “Typically, technology is really expensive, but you can get a chatbot up and running with very little investment,” says Melissa ­Bennett, partner and technology director at Los Angeles–based creative and technology company Heat Waves. But should you? In a 2018 survey of 3,000 consumers by analytics software firm Calabrio, 79 percent of respondents said interacting with a human—instead of a chatbot or digital self-service channel—is an important aspect of good customer service. However, 54 percent of those surveyed said they don’t think companies are wasting their money by investing in technology designed to improve customer experience. Chatbots vary in sophistication. Basic chatbots are preprogrammed to recognize specific questions and issues that shoppers type in, then respond with prescripted messages, while more sophisticated chatbots are powered by artificial intelligence (AI). The latter are doing so-called natural language processing. “They’re literally determining how to respond, and they can also learn,” Bennett says.